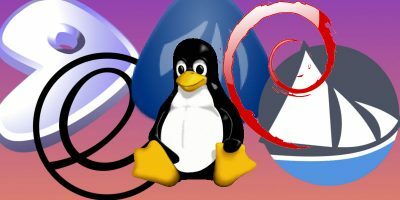 With the changes coming to the desktops of some major Linux distributions, it looks like we’re beginning to see some welcome differentiation between how each distro presents itself to users. 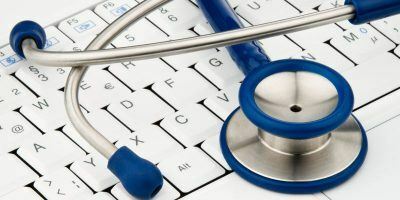 Fedora and Ubuntu are of course well known as some of the most popular and user-friendly Linux systems, and while they have many similarities, their next major releases are both taking a new approach to the desktop. Ubuntu has decided to drop their Netbook spin and run their homegrown Unity desktop across the board. 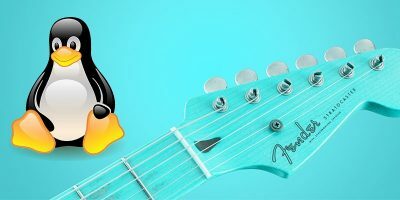 Fedora however has jumped on board with Gnome 3, confident that it will have all the form and function their users want. While we’ve already discussed both desktops before, Fedora and Ubuntu are both offering more than a makeover, and it’s time to dig deeper. Note: All screenshots and information were taken based on the nightly builds and information available on the day of this writing. Both systems are heavily in development, and it’s very likely some aspects will change before release. As noted above, Fedora is going with Gnome 3 for their future releases. It’s a huge departure from Gnome 2, both in the user interface and the software behind it. Much of what you’re used to seeing on a standard Gnome desktop is, at first, missing. Of course, as we’ve covered in detail before, there’s quite a bit more once you hit the Activities key or corner. One major change from previous builds is that this one implements auto-workspaces. Any time you place a window in a workspace, a blank one is automatically generated for you. If you close a window in a workspace, that space is removed and any other workspaces drop in the fill the void. It’s a difficult effect to describe, so here it is in action. While that is completely at odds with the way I prefer to use workspaces, it is an unusual concept and I’d be interested to see how it pans out for others, and hope for myself that it can be disabled. 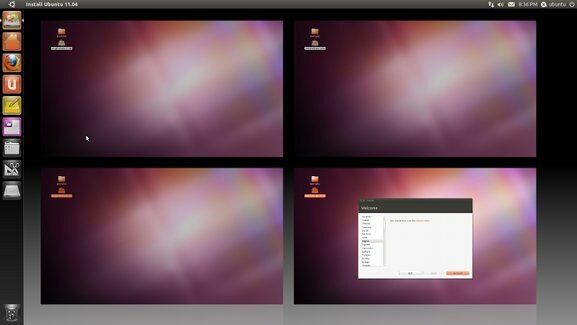 As a MTE reader, you’re probably already familiar with Unity, Ubuntu’s new netbook-inspired desktop interface. Unity has been gaining attention for a while as a quick and simple desktop that lets you quickly access your common applications. With the generally good response initial builds received, Ubuntu has been putting a lot of effort into polishing it for the Natty release. Some of the new additions include a revamped launcher (Alt-F2) screen and Expo-like workspace switcher. I’m not going to attempt to claim which is “better”. That’s far too subjective a term, and better for me may not be better for you. I will say that Ubuntu may have a slight advantage in that is has both Unity and Gnome Shell available, while Fedora (for the moment at least) does not have equivalent support for Unity. Personally I was most surprised by the changes to the way each handles workspaces. Prior to researching this article, I was solidly on the side of Gnome Shell’s workspace management, but at the moment I greatly prefer Unity’s Expo-like style to the scrolling, automatic approach currently found in Gnome Shell. Both are, of course, very new and constantly changing, so it’s likely that soon we’ll all be able to choose the best of both worlds, whatever “best” may be. I don’t think Fedora and Ubuntu are the only 2 options out there for a desktop user. The newly released openSuse 11.4 – mainly the KDE version is a serious competitor right now. Yes you are certainly correct, and I didn’t mean to imply that these were the only viable contenders. Fedora 15 and Ubuntu Natty were compared here specifically because they’re both bringing an entirely new desktop experience to their upcoming versions. 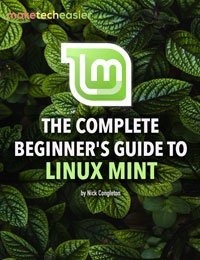 Linux Mint may also be worth considering, for those who like the Ubuntu or Debian base and want a more traditional Gnome-style UI with some nice polish. Last I checked there was a Gnome Shell package available in the standard Ubuntu repos. I’m not in a position to check at the moment but as far as I know it’s still there. There was an old package, but that has now been excised. Getting the whole GNOME 3 experience from the gnome3-team’s PPA will not be the most pleasant of experiences, let alone “just” GNOME Shell itself. I’m doing a little bit of work to try and make that a bit easier, but basically there’s a big gap between GNOME 2 and GNOME 3 that won’t be bridged in Ubuntu 11.04. We’ll have to wait for 11.10 (and hopefully only that long) for it to all work together nicely. Isn’t this as much a debian packaging problem as it is an Ubuntu thing? Since I presume that the Gnome3 folks are busy getting packages into Debian and Ubuntu will simply use those? Not really — it’s mostly about timing and the amount of change in the stack. The “GNOME 3.0” release is more than just GNOME Shell, it also includes the first major API/ABI break in 8 years with GTK+ 3. All of the GNOME 3 stuff is being packaged by Debian developers in experimental, but the change is VERY hard for Ubuntu to land during the same six month cycle as GNOME. 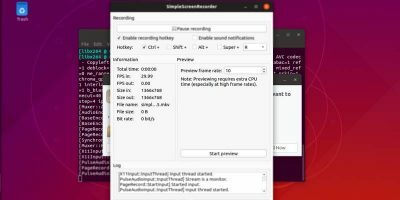 Aside from the awkward GTK+ skew they’d have to manage bringing it in, there’s also the question of robustness (not that of GNOME Shell, by the way, as that would be a secondary issue for Ubuntu anyway). 11.10 is LTS so don’t expect some drastic changes in Ubuntu for that cycle. For me it will be none of them, Up until recently I’ve been an Ubuntu user, but afew days ago I switched to openSUSE 11.4 with KDE.Plasma desktop. I’ve tried using both Unity and GNOME 3 shell but at the end of the day they both just seam ridiculus compared to normal GNOME. Well with KDE I’ve discovered something that is actually a step forward and something that is already available and already works great. I “tested” openSUSE 11.3 three days after it came out by installing it on my Windows XP PC and I basically never went back into XP. :-) Now that 11.4 is out I’m going to officially convert to openSUSE and repartition accordingly. You’re exactly right in that KDE is straight forward (and feature-filled) that’s easy to slip into, especially for we lifelong Windows users. I recently tried out Gnome, XFce and LXDE on a laptop and kept bumping into “Where’s the setting to do…” and “Why can’t I change this to….” and “Why can’t I disable….” I was shocked by the lack of customizability/control Gnome and XFce had compared to KDE. LXDE wasn’t bad for minimal memory use but the fact that it doesn’t even remember touchpad tap settings without having to configure a text file is sad. In the end, I was willing to put up with 30-40 more megs of RAM use on my old 512MB laptop and go with all the features of KDE rather than the alternatives. LXDE was even missing the simplest things like recently used items. I missed the ability to have my touchpad deactivate while typing, advanced power use settings, etc., etc. Now as a Linux convert I’m surprised there are people who don’t use KDE. It’s start menu alone is the best I’ve ever used (Win 7 copied some parts of it, but KDE’s is still better). I’m expecting openSUSE/KDE to pick up a lot of converts soon among those who use their PCs to “get things done” rather (or in addition to) hacking/tweaking/experimenting. this is why i have several desktop enviorments on my laptop. sometimes i want a change of pace. also why i will have gnome classic along with unity..
Has a Fedora user since FC5 my Fedora 15 sports a KDE desktop because the Gnome 3 is not easy to use. I have tried both (Unity and Gnome 3). Unity is pretty slick (smooth) and has some nice eye candy. However, I prefer Gnome 3. Gnome 3 is less cluttered than Unity, and I prefer how Gnome 3 separates work tasks (most of my time spent here) from management tasks (used occasionally). I have been an Ubuntu user for years and switching to a new distro on my personal desktop is likely in my future. Finding a distro with Gnome 3 could be a challenge that best suits me. My family could stay with Ubuntu and Unity. In which this could also be installed in your Ubuntu. Josh, I realise that your article concerns only GUIs, but it would be nice if you or Damien or another MTE contributor could run a head-to-head comparison when both Ubuntu 11.04 and Fedora 15 have been released in a couple of months. 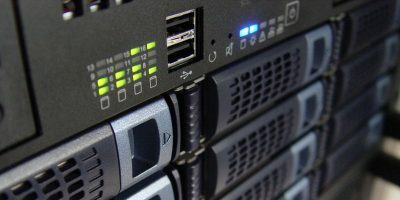 How, for example, do boot times, use of system resources, etc, etc, compare between the two systems ? 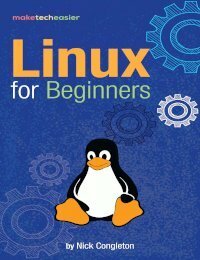 Such information would be a help to users with several years of Linux experience who are wondering whether to stick with the distro they know (even if it’s changing all the time) or make the leap to a new one…. Ive never really considered boot times as relevant, except if one is using a laptop, and the operating system does not support a sleep or hibernate command. What concerns me more is memory utilisation when I have several applications loaded. How responsive is the system. 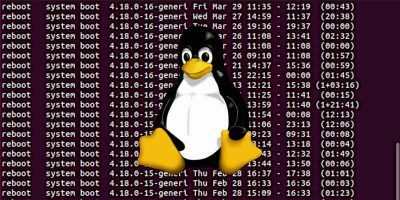 As a person who has used IBM mainframe and Unix systems, as well as 5 years of linux, I am truly disappointed in how linux handles gui interfaces. GUI apps should run higher priority than batch. By that I mean a file copy should run in background and allow me good response when I click on another gui app in the foreground. «What concerns me more is memory utilisation when I have several applications loaded. How responsive is the system.» I’m certainly with you here, Leslie ; that is what I tried to subsume under «use of system resources, etc, etc». Still, I think many of us who have stared at a Windows screen, waiting for the system to boot – and equally for it to shut down – do regard boot times as important, particularly for users who turn the system off completely after use. I have to admit that Win7 is better in this regard, but earlier versions tend to drive me off the wall – one of the (many) reasons I prefer, e g, Ubuntu…. XFCE is a pleasure to use. I believe these changes will raise its popularity. So many facelift instead of focus on functionality. Having more and better drivers for video, make a correct sound system which out of box is able to recognise internal and external speakers and use it. 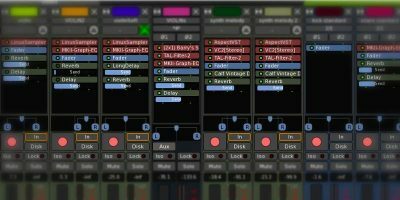 (Pulse sux on internal 4.1 speakers on my laptop and offers only stereo.) Upstart must be finished and polished. These are the user requirements and not a shine ugly surface e.g copy of Mac or creating Unity. 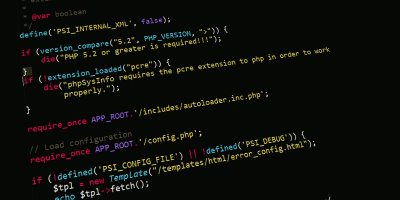 We should push Canonical to offer functionality and application support for their desktop such as gaming and business applications. Please add in more information about Fedora 15 and GNOME Shell. If there’s anything in particular you’d like to know about, let us know and we’ll add it to future updates. Hi and thanks. While I appreciate the compliment, it might help if you knew that English isn’t Damien’s native language, which is probably the source of his grammatical mistakes. We do take reader feedback into account, so I’ll mention it to Damien. Thanks for being an MTE fan! I am already working hard to improve my English, and will continue to do so. switched to zorin about a month ago. love it, but, it’s really hard to find any substantive reviews or comparisons on it . 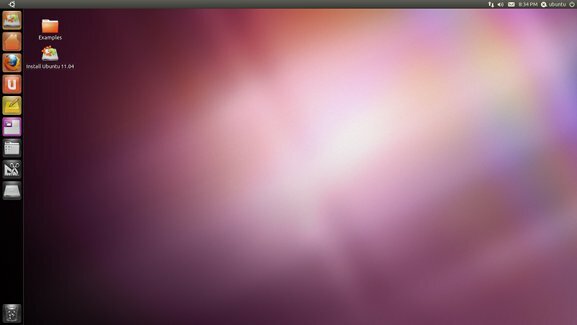 i have tried both unity and gnome 3, and am really turned off by both. i am much more comfortable with the interface zorin offers. I’m disappointed with the 11.04 version of Unity and regard it as a work in progress. Hopefully Ubuntu will have improved it by the 11.10 release. 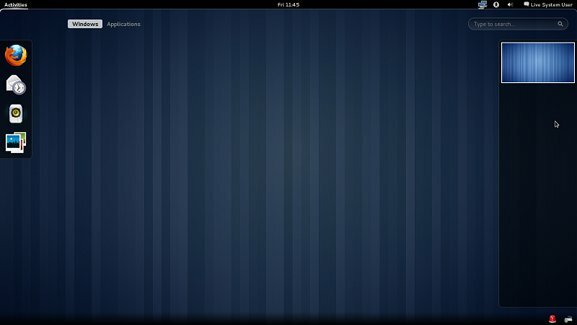 Gnome 3 on Fedora 15 Beta on the other hand seems to improve day by day as more packages become available. The Avant Window Manager has resolved my concerns regarding the workspace issues raised in the article. I prefer to choose Fedora 15 than Ubuntu 11.04, since Fedora is simpler than Ubuntu for me. 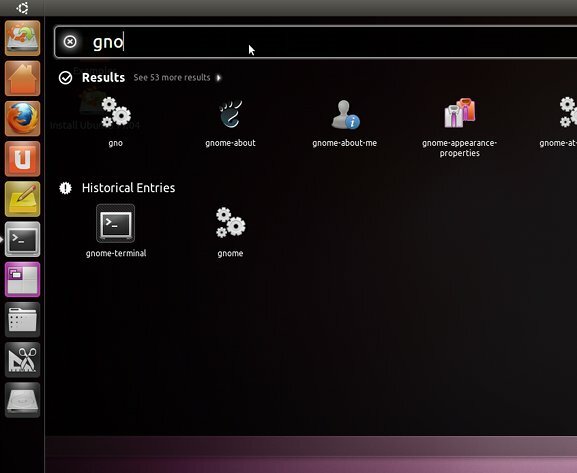 I think Ubuntu’s Unity is more complicated then Fedora’s GNOME 3, and it has more extensions than Unity desktop. I use Ubuntu too but I switch it to Lubuntu Desktop…..
By the way… Fedora 15 Live CD runs so smoothly on my MacBook Pro… Bravo Lovelock! GNOME 3 and Unity equally didn’t work for me, on a day to day usage those layouts doesn’t scale. Pushing around f15 a little bit caused some crashes and slowness in the UI. IMHO both KDE and GNOME are more for shows and less for actual work. Ubuntu came a long way whereas Fedora seems to be more bloated and slow. cant enable wifi or bluetooth in toshiba f60. got any idea??? toshet doesn work either…. nor do the 7 hot keys work…… and while I use ubuntu it drains my battery more than windows 7……..
Holy crap! I searched the whole Internet, took me 3 hours to find this comment mentioning “rfkill tool”. Thank you SO MUCH! BTW in newer Linuxes the sysfs is totally rewritten and echo [value] > rfkill_status_file doesn’t work but “rfkill” command works excellent!!! What I did is booted off kubuntu liveDVD and played a little around, including SW disabling of the wireless and after that I wasn’t able to re-enable it, even in Windows (I keep a small Windows partition on the disk just for the case), which in past did the job if I got to similar troubles… I think the note about rfkill tool should be in the first paragraph of Ubuntu release notes :-). FEDORA beats UBUNTU hands down! Wireless on 11.04 won’t install unless you jump through hoops! FEDORA connected no problem!! Oh good, wireless worked! 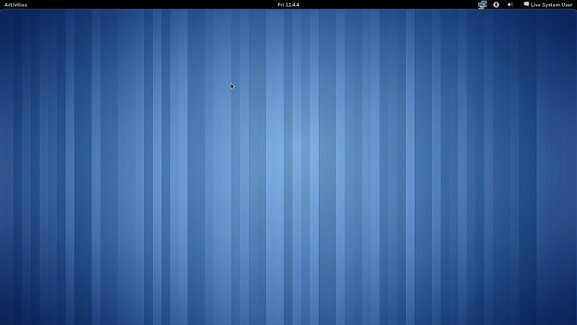 Based on this ONE criterion, Fedora obviously beats Ubuntu in every way possible! Moron. This is what you should do. Install fedora on a LVM (logical Volume) with a volume group that uses up the whole disk but a logical volume that only takes up 1/2 of it. 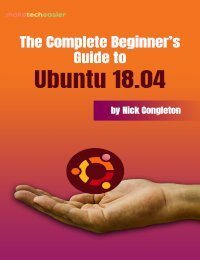 Then install ubuntu using the alternate install disk and setup ubuntu to utilise a volume on the other half of of the volume group you setup when you installed fedora. Try both out and see which one works best with you and your hardware, I’m fairly confident that one of them will come out on top for any particular user/hardware. Delete the other one and use the LVM tools to spread the logical volume of the one you want to keep to the whole disk (while booted from a life fedora/ubuntu disk). Hey presto, you’ve tried both out and not lost any disk space. Also cos you installed on LVM you can add more disks or remove dodgy ones in a matter of minutes. Happy Days. What was he smoking when which moron who developed Unity shell? (if you catch my drift). Unity is far from production grade, it is slow and crashes often! Gnome 3 IMHO is very fast and stable! I Have Installed Ubuntu...What's Next?